When Did I Get to Be Middle-Aged? It happens at odd times. I’ll look in the car mirror and discover that a few of the hairs above my ear have turned white. Or I’ll do the math and realize that I’ve been teaching high school for longer than my current students have been alive. Or it’ll occur to me that I just spent fifteen minutes of a party hanging out in the kitchen with two friends and comparing notes on our respective colonoscopies. And it hits me: I’m middle-aged. I am actually middle-aged. I sure do. And weird as it sounds, I didn’t see middle age coming. It honestly seemed to sneak up on me when I wasn’t looking. Maybe this has to do with the timeline of my life. I married at 29; my first child was born when I was 33, my second at 35. For much of my thirties, I was absorbed in being a mother of littles, the sort of thing that women much younger than I were also doing. It was easy to feel more youthful than I really was. But then things started changing. My cycles started shifting; my eyesight got ever-so-slightly worse. Jeans that used to fit just fine began to feel uncomfortably tight. The few gray hairs hidden among the dark, which had always seemed like a fun little novelty, suddenly seemed to be proliferating at an alarming rate. I got a letter in the mail saying that it was time to schedule my first mammogram. So yes: I’m definitely middle-aged. And I’m not quite sure what to make of it. I vacillate between two extremes. One is a sort of denial, or a kind of bravado in the face of aging. “Fifty is the new forty!” you hear people say, and that’s an appealing slogan. My license may say I’m 45, but I don’t have to believe it or look like it, right? And I can’t deny that my first instinct is resistance. It seems to be the norm in our society, with cosmetics to erase wrinkles and dye to cover the gray. The marketing around these products makes it sound like you are a weakling if you don’t fight back; think of the ads that urge you to “defy” aging with eye creams or serums, as if aging is some dragon-like nemesis trying to haul you into an abyss. But sometimes, at other moments, I find myself surprisingly okay with being middle-aged. When I am okay, it’s because I’m focusing not on the externals of skin and hair and figure but on all the things I’ve gained since that seemingly magical age of 26. It’s a good list. I’ve gained wisdom, for sure. A family I adore. Professional experience. Clearer insight into who I am and what I want. I also find that I’m now thinking outside the box in ways I didn’t when I was younger. I understand why people talk about mid-life crises; I think there’s a part of human nature that makes us, at every point, want to be vibrant and interesting. And if you realize that you’ve always relied on one particular thing to feel vibrant and that thing isn’t quite so relevant anymore, that’s when you expand your own horizons and habits. There are plenty of healthy ways to stretch our middle-aged selves and be pleasantly surprised at the results. For me, it’s happened in my writing. About a year and a half ago, I started a writing project totally different from anything I’d ever done before. It’s been fascinating; I’ve looked at the world through a new lens and have learned a tremendous amount in the process. And I jokingly call it my “mid-life crisis book” because I’m not sure I could have written it at any other point in my life. I didn’t have the experience, for one thing, but I also didn’t have the thirst to shake-up my routine and find a new way to use my creative energy. And the writing of it has been a gift: a surprising, precious gift. And the realization that I’ve likely passed the midpoint of my life makes me think a lot about mortality. That’s a double-edged sword; it can get depressing quickly. As I age, my parents’ generation ages too, and losing people I love is painful. But at the same time, this awareness of time passing is oddly freeing. After all, what really matters, when all is said and done? It’s not the way we look. It is not how cute and young we are. It’s what we do with the time that is given us, to paraphrase Tolkein. It’s about zeroing in on God’s plan for each one of us, and following it. It is also about recognizing that that plan is always evolving and growing just as we are always evolving and growing, and that it may lead us down fascinating paths that we could never have imagined when we were in our twenties or thirties. It’s about a deeper, stronger, feel-it-in-the-bones sort of understanding that God is with us for the long haul, through every single age and stage. And with that truth, I can handle anything. Any other middle-aged women out there? We’d love to connect! 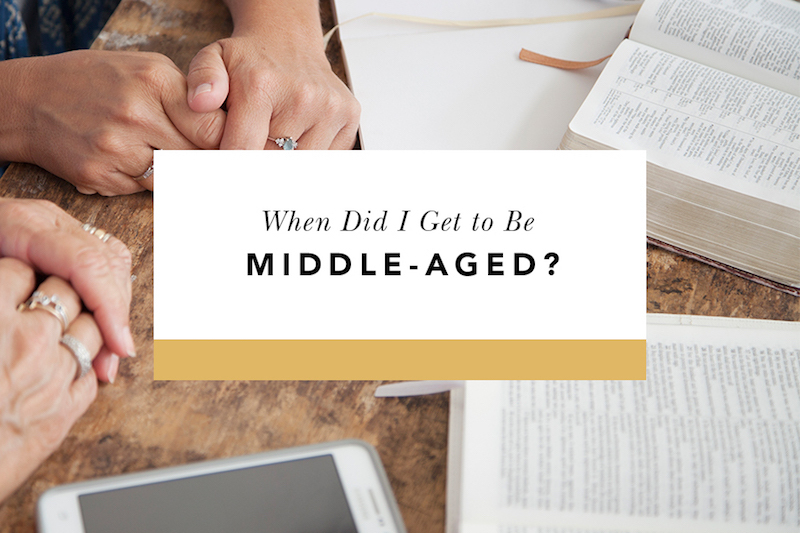 Feel free to comment about what has surprised you most about being middle-aged! Ginny Kubitz Moyer is an author, high school teacher, and mother living in the San Francisco Bay Area. 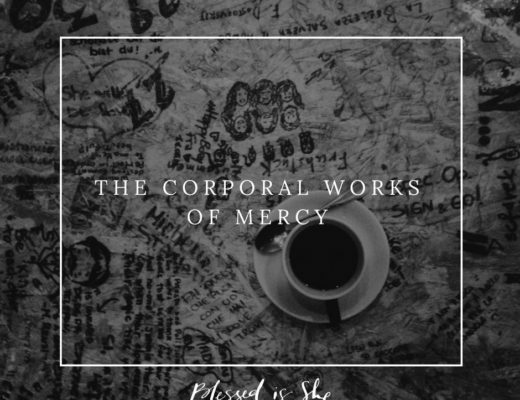 Her latest book is Taste and See: Experiencing the Goodness of God with Our Five Senses. You can find out more about her here. This post contains affiliate links. If you purchase an item by clicking through our link, we receive a small percentage of your purchase at not additional cost to you. Thank you for supporting this ministry! I hear ya sister. Only mine is when did I get to old age? I’ll be 60 soon. lol Great read! Thanks! I’m so glad it spoke to you. I’m two years ahead of you but dealing with and feeling so many of the same things you are. When major adult life events start having 30-year anniversaries, you realize time waits for no one. I’m actually quite excited about starting my second act- a change in career focus – but not all that excited about dealing with the amidst losing parents having reading glasses strategically placed everywhere is my home and office. Yup, it’s all about the reading glasses! This post was what I needed today, I just turned 41 and I’m overdue for hair color treatment to hide my grays! We have hired 4 new teachers at my high school that I once taught and makes so old, like how did this happen? My mid-life crisis led me back to school to pursue a Ph.D. and I’m loving it, and the more I study and write papers the less I care about the gray hairs. I’m so glad you’re pursuing a new avenue and loving the process! Thanks for sharing. Thank you for this post today! I turn 40 next week and I feel like I’m entering a new season in my life. I’m focusing more on me and what makes me happy and less on making others happy. Plus I have found it’s okay to say no to things I don’t want to do. Now if only I could slow down the grays in my hair. So true … I like the freedom not to worry about how others perceive me (or not to worry as MUCH). 🙂 Happy early birthday! “Silver hair is a crown of glory.” It says so in the bible! Seriously! I think it’s in Proverbs. There are so many more important things to worry about than the color of our hair! If more of us would rock the gray, we would start a new trend! I’m 55 and feel unprepared for the hormonal changes, physical bodily break down that comes with age, caring for and supporting aging parents (mine and hub’s). “Major life events that have 30 yr anniversaries,” (lol) and friendships that have lasted 40+ years, children getting married, new status as MIL and later, grandmother. If y’all can do it, so can I! I used to look to the Titus 2 Woman, now I think I am becoming her. I am actually kind of curious to see how I look with gray hair! Such a change from what I have always had. Great read! I’m turning 55 this year and I still get those moments of “0h my I’m middle aged, how, when…” now I’m trying to find what God has in plan for me at this stage. Thank you, Rosa! Blessings on the journey. Yes to all of this! I turned 50 last year, and I’m still surprised that the number is what it is. Count me in with the mid-life-career-reboot. I didn’t even realize it at the time, but now I see what a blessing it was. Thanks for sharing and challenging me to see what really matters, too! Thanks, Cathy! I love hearing about career changes that happen later in life. There’s no such thing as “too old” to change. I love this! I am a few months away from 45, and this stage of life has given me confidence and courage and a lot of growth. Since turning 40 I have had twins, gone through nursing school, and faced several family issues that would have destroyed me at a younger age. Like you, I see that God is there in every stage of life, and always has been. Realizing that time is limited in this life has made me focus on the important stuff. I am thankful for the faithful insight that you and all of you Blessed Is She writers have, and for your ability to put these things into words. Thank you for reading our work, Julie. I’m so glad it speaks to you. I’m so glad I read this! I turned 50 last May without a big, or small, celebration, barely noticed, which is, quite frankly, a major theme in my life. I’ve come to the realization that God asks me to be small, and I also accept that I struggle with this littleness. I start with this because I thought turning 50 would be different somehow. I thought it would be a bright shinning moment, celebrated and acknowledged as a new major milestone, and that I would suddenly feel I had entered an exclusive 50’s club! Its kind of funny, actually. But instead it was so undercelebrated and i barely slid into 50 that I often have to remind myself that I am 50, almost 51 now. In my late 40’s I fought to save my marriage from a much, much younger woman and this really put my age and subsequent reality of aging into perspective, both the negatives and the positives. Happy to say, my marriage is still intact and healing. I, too, had started my family a little later than most women, my 3 children are all 4 years apart, my oldest 23 and my youngest 14. I notice the same things you mentioned, the grey hair that has infiltrated my head and needs regular coverage, the wrinkles, the jeans that don’t fit the same way, the aches and pains of getting older. I went back to Grad school at age 47 and noticed how it took me a little longer to remember things, absorb the info, and how my glasses were not doing the trick…bifocals anyone? But the feeling of accomplishment has probably been greater than it would have been in my 20’s. I feel one way but look in the mirror to see someone I didn’t expect. I’m no longer under the delusion that, one day, I might turn heads, rather I’m the ” older woman”. And I find myself trying to embrace the wrinkles and grey hair, and bodily changes, as badges of honor, bravely and honestly earned. I, too, finally understand the inner conflict that causes midlife crisis to erupt. I, too, am contemplating my mortality and that of my parents. It’s honestly been a struggle to merge these two sides of myself: who I feel to be inside my own mind’s eye, and who I see in the mirror; as well as accepting my middle-agedness (I may have made up that word, but hey, I see that as my middle-aged privilege). The beautiful side of all of this is the realization of wisdom and a more peaceful view of life. I find myself more confident as I begin a new, and basically first “real”, career. It was so affirming and reassuring to hear of your journey and your thoughts on this, and to know I’m not alone. Thank you for your honesty and openness! This truly has helped me better accept this next stage of my life! I love middle-aged privilege and I love your comment! Thanks for sharing your beautiful journey. I too find a different kind of confidence in middle age … it’s very freeing. At 56 it surprises me still! My youngest is 16 so the mommy years aren’t behind me just yet, but I am learning to adjust my lens to see the world through more mature eyes which are rich in compassion both for others and myself. This quite often means learning to leave “should haves” and “what ifs” behind and instead embracing that ultimately God is in control and his timing is perfect. In all honesty I wouldn’t want to be my 27 year old self again…. she had her own doubts trials and limited perspective though now it’s tempting to pretend otherwise. She was fighting the battles of her day which made her thin thighs and glossy hair of little consequence. So each day becomes an opportunity to transition more fully from the princess I once was into the queen that God is inviting me to be. Your essay was thoughtful and poignant. Thank you! 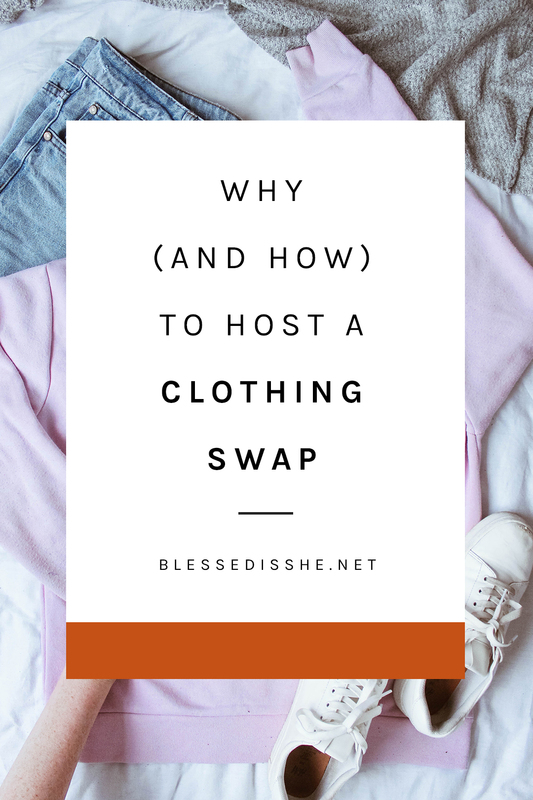 It was nice to hear from a seasoned woman on this blog. I was feeling like it was primarily for women in their twenties and thirties so I’ve drifted away. I’ll be 50 at the end of the year and got an AARP card in the mail a couple weeks ago. Sometimes I don’t like that number but there are many things I am glad I don’t ever have to do again and many reasons to be happy with having life experience. This blog spoke to me in so many ways. Married at 30 with an adopted newborn daughter at 36, eyesight starting to go, slight change in career (general education teacher for 21, now teaching elementary music and chorus), etc. I struggle sometimes with the journey, but I’m learning to enjoy the struggle for what it teaches me. Trying to focus on the Lord and His plans for me, for I want to be remembered as someone who loved the Lord with all her heart.